If you like VeggieTales and Adventures in Odyssey then you will want to check out the 50% off select kids items sale at FAMILY CHRISTIAN STORES. The sale is running from July 8-July 21, 2011. The Imagination Station series is on sale, only $2.49 for one book. These items are just some of the sale deals, which make great gifts as well. 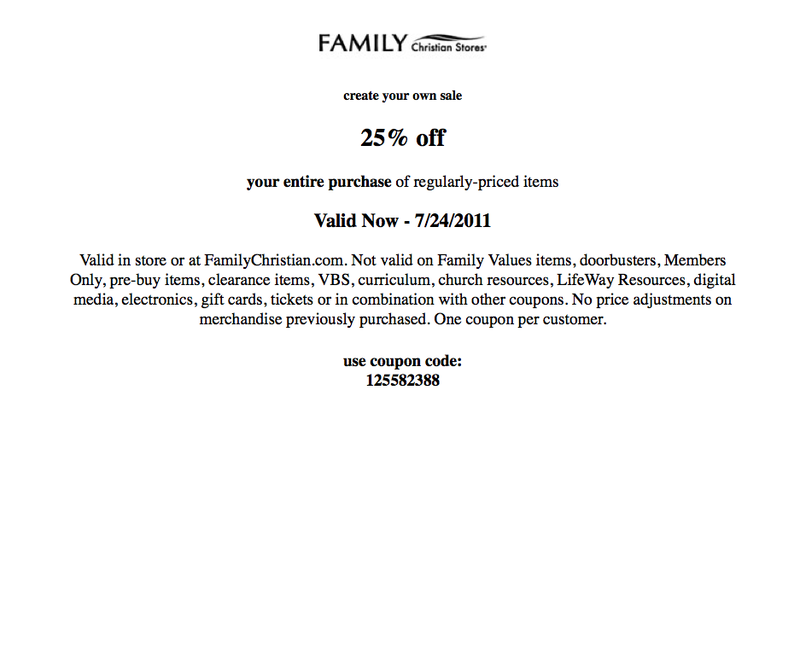 For an extra “Create your own sale” coupon CLICK HERE.